The Lake District may be a beautiful place to enjoy outdoor activities, but it is increasingly becoming known as one of the most dangerous places for walkers in the UK. Recent statistics from the Lake District Search and Mountain Rescue Association show a steady rise in fatal accidents in the area. A large proportion of these deaths are caused by medical emergencies, like heart attacks or strokes, which can occur if the sufferer exerts themselves too much. So why has this increase in fatal accidents occurred? There are a number of theories about this tragic rise in Lake District deaths, with some believing that the trend for exercise and healthy activity in modern life is causing some people to over-exert themselves. Walking is often seen as a relatively easy and laid-back form of exercise, but it’s foolish to go on a long walk or hike – especially if you’re not familiar with the area – without proper planning and precautions. The main reason why many of these accidents are fatal is because they are likely to happen far away from emergency assistance. In contrast to a town or city, people who suffer a medical emergency while in the Lake District are less likely to get an ambulance in time to save them. If a person is having a heart attack, receiving medical assistance as soon as possible is crucial and the difference between life and death can be minutes – minutes you probably won’t have if you’re in a remote part of the Lakes. For free advice on fatal accidents and death you may want to visit https://www.accidentclaims.co.uk/death-fatal-accident-compensation/am-i-eligible-to-claim-compensation-for-a-death-fatal-accident as it can be a very stressful situation. The whole area of the Lake District stretches over 900 square miles, and contains a wealth of forests, lakes, green slopes and craggy mountains, many of which are unreachable by car so if an accident were to occur, an air ambulance would likely be required which could take a while to reach you. Not only this, but if you’re unable to contact the emergency services, then there is little hope of getting medical attention. This normally happens due to mobile phone issues, such as the battery running out or not having signal. You don’t have to be unfit to have an accident while walking. Heart attacks can happen to people with no previous heart issues and the area poses other risks too. If you’re walking during the warmer months, the heat and not having enough water can cause dehydration, which can be deadly. Equally, sometimes a fatal accident can occur due to a simple navigational error, inadequate map-reading skills or simply not having the equipment you need, such as a compass and correct walking gear. Even the most experienced walkers are at risk if they fail to plan their trek properly. So, what are some good things to keep in mind that will keep you safe while you explore the Lake District? Many of the low-lying walks offer beautiful views and are much less remote and dangerous than some of the craggy mountain walks. Weather can make a big difference to your walk. If the temperatures are too high or too low you might have some problems. If rain is forecast, be aware that this will cause rocks to become slippery underfoot and could also change the paths and deepness of rivers and streams. Wear the appropriate clothing and schedule your day to accommodate the possibility of having to turn back. Check the weather for the Lake District here. Even the most basic walking gear could save your life. Make sure you have warm, waterproof walking boots, a map and a compass. A lightweight waterproof jacket is also a good idea. Take a fully charged phone with you and if possible, a battery charge-pack just in case. Whatever the weather, make sure you take plenty of water with you. Learn to navigate – that means reading a map and a compass – and have a good understanding of the route you’re taking before setting off. If you’d rather leave the planning in someone else’s hands, you might want to go on a guided tour of the Lakes. There are a number of companies to choose from that run tours and guided walks for all levels of walker. Stay safe and enjoy the Lake District in all its glory with these simple safety tips. 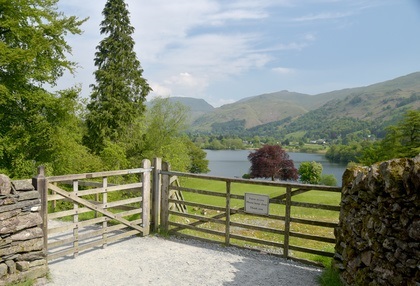 If you experience an accident in the Lake District while taking part in a guided tour, you can make a personal claim against the company you were walking with. If you suffer injuries due to negligence from the guide, you could be eligible to sue for compensation. Note that you will not be able to file a personal claim for injuries sustained by yourself due to carelessness. This entry was posted in Fatal Accident At Lakes, Lake District on October 30, 2018 by admin. The Lake District stretches for around 912 square miles, and holds a wealth of wonderful places that both UK residents and holidaymakers from abroad can enjoy. Depending on your personal taste, budget and the style of holiday you’re looking for, as well as the time of year you’re travelling, you’ll find somewhere in the Lakes that will fit the bill. Whether you want a cosy country cottage experience in the cooler months, or you’re eager to have an active and rustic camping experience, here are the top five best Lake District holidays to book today. Windermere is perhaps the most iconic destination in the Lake District. Famous for being a desirable destination for Victorians, including eternally popular children’s author Beatrix Potter, Lake Windermere is the embodiment of the area. You can even have a visit to her Lakes cottage – Hill Top House. With plenty of outdoor activities, including fishing (which is free here), boats for hire, watersports, walking, hiking, scrambling and cultural places like tea rooms, cafes, pubs and gift shops, as well as boasting some of the most stunning and spectacular scenic views of the lakes and mountains, Lake Windermere may be the first and last place you consider for a Lake District holiday. Rent a cosy country cottage and get the full experience of homely comfort with privacy, as well as enjoying wonderful views from your own living space. With a wide range of cottages to choose from, you can find the perfect space to enjoy holidays with groups or family. 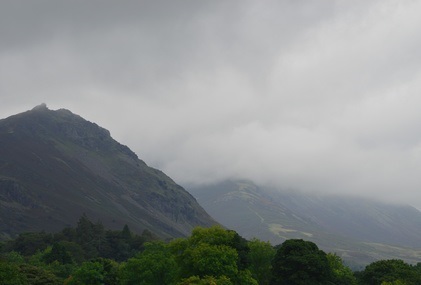 If you’re an outdoor enthusiast looking to explore the fells of the Lake District and enjoy a truly remote experience while you’re there, book a stay at one of the comfortable and homely hotels at Buttermere Village. This charming village is right by the lake shore of Buttermere and is the starting point for many beautiful walks up into the hills or along the waterfront. The village doesn’t have any shops, but there are plenty of beautiful old-fashioned buildings to enjoy, including the original burial place of famous fell walker Alfred Wainwright. Enjoy a relaxing hotel break and have food and board waiting for you after a long day walking. Coniston Water is another iconic Lake District destination with literary connections. The classic book ‘Swallows and Amazons’ by Arthur Ransome is set here, and it’s easy to see why the author was inspired. The crystal clear and still waters, exquisite green slopes, ancient trees and beautiful mountain backdrop make it a picture-perfect destination of nature lovers, anglers and anyone who loves being close to water. You can easily take a little trip across the lake in an authentic Victorian steam-powered yacht, or rent your own boat and enjoy a romantic row across, enjoy fishing for the local perch, pike and brown trout, or simply camp nearby and enjoy a daily paddle with little ones. If you love camping and feeling close to nature, book a camping holiday at Low Wray. This provides spectacular views of the mountains and lakes and provides easy access to the iconic area of Windermere. Wray Castle is another attraction which draws many campers to this area in their hundreds. There is, however, plenty of space throughout the year to enjoy the outdoors without having to squeeze your tent or van in amongst dozens of other holidaymakers. Whether you bring your own tent, or want to enjoy one of the onsite teepees, camping pods or park your campervan, this is one of the best all-round campsites for visiting the Lake District. Low Wray campsite has facilities to keep everyone happy, including water sport equipment rental, a children’s play area and seasonal fresh food. Log cabins and lodges offer supreme cosiness and a rustic touch to your stay in the Lake District, while still giving you all the shelter and utilities you need for a practical and comfortable visit. Log cabins are an especially good option for those visiting the lakes during the cooler months and many are equipped with authentic fires and wood-burning stoves. If you’re visiting the Lakes as a couple, enjoy a cosy and romantic evening looking at the stars from your cabin porch. Ullswater offers beauty and privacy in equal measure, with gorgeous views of the area, fishing opportunities and a number of paths and trails around the water’s edge as well as more adrenaline-pumping adventures into the mountains. Whatever type of holiday you’re looking for, the Lake District is packed with options that will satisfy even the most discerning traveller. Whether you want to relax and unwind, or challenge yourself with outdoor excursions, you don’t need to look any further than the Lakes. This entry was posted in Lake District on September 12, 2018 by admin.